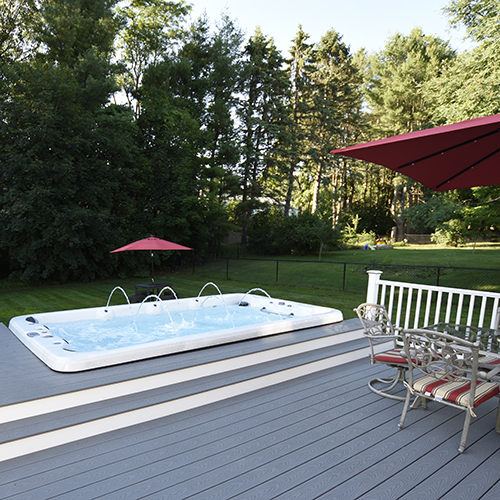 Please call us or stop by our showroom, and we'll help you find the Swim Spa of your dreams! 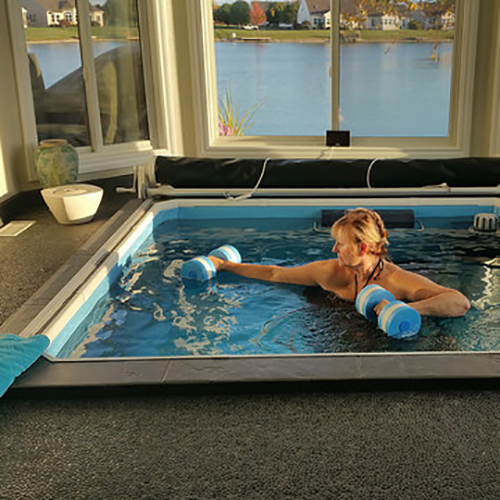 Imagine… having your own swim spa therapy pool, set at the temperature you want, can be installed virtually anywhere indoors (or out,) and can be used year-round for aquatic exercise, lap swimming, hydrotherapy and fun! 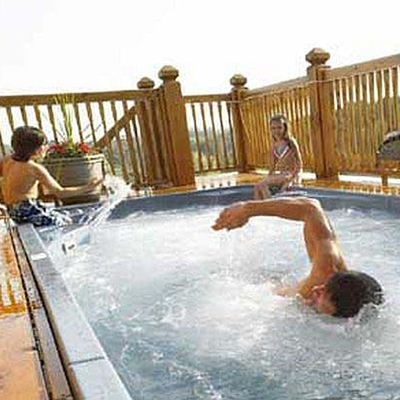 Stop by our showroom at 760 Century Street and see a Swim Spa in action! These amazing therapy pools have so many benefits and features, not to mention great looking and compact. 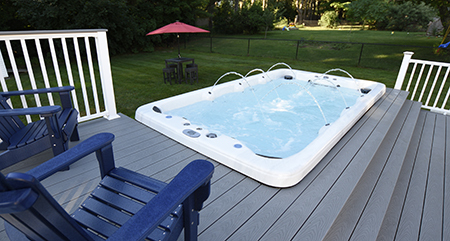 Swim Spas can be installed anywhere—from basements, garages and even spare bedrooms!